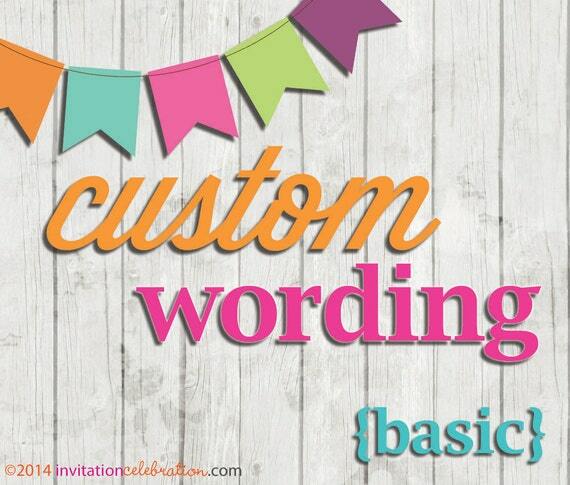 This listing is to be added on to any PRINTABLE order that you'd like main wording edited. Before adding this item to your cart, be sure you've talked with me to verify if you need BASIC or DELUXE listing for your design. When placing order please be specific as to what you'd like edited in the Notes section. This custom wording entitles you to 2 rounds of revisions before your final files are sent to you.